In a move to ignite mobile payments in the UK, operator group Everything Everywhere, formed by the merger of the Orange and T-Mobile brands in the country, has signed an exclusive, five-year partnership with payment processor MasterCard. The two firms said that they plan to develop mobile and digital payment products and services for the operator’s 27 million-strong subscriber base, by combining their financial and technological assets. The two firms have a history of working together. 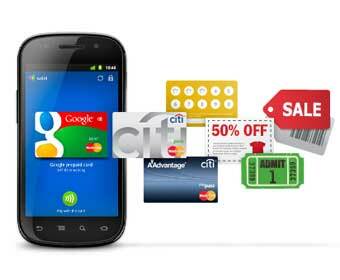 Last year, they launched Orange’s NFC service QuickTap, and the Orange Cash pre-paid card. Now though, they have announced one of the first products created as a result of their new partnership; a co-branded pre-paid solution for mobile devices that allows customers to make payments using Near Field Communications (NFC) technology. The solution will enable EE’s customers to make contactless payments at more than 100,000 retailers in the UK. The two firms said that they will expand the scope of their products over the course of the partnership into other areas, including person-to-person money transfers, loyalty rewards and digital payment services. In addition, the two companies will develop services that allow small business customers to accept payments using mobile devices. Further services are expected to be announced later this year. “By moving our existing co-branded card offers onto mobile devices, we are closer to a world where our customers will be able to use their phone to pay for travel to work, pay for small purchases and take advantage of loyalty rewards from their favourite retail outlets,” commented Gerry McQuade, CMO at Everything Everywhere.